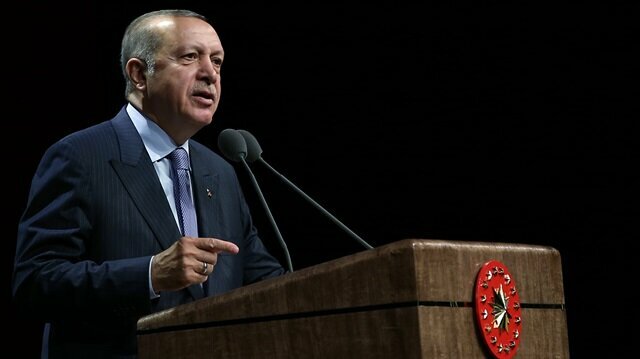 Turkish President Recep Tayyip Erdoğan said the United States will be the loser from President Donald Trump's decision to withdraw from the nuclear pact with Iran. Erdoğan said that the United States was not remaining faithful to the agreement it had reached. "This is not how international mechanisms work, it cannot be annulled at will," Erdoğan said, criticizing the move. Bucking pressure from the U.S.'s closest European allies, President Donald Trump on Tuesday pulled the U.S. out of the landmark nuclear agreement that world powers struck in 2015 with Iran. Iranian members of parliament on Wednesday protested the U.S. President Donald Trump's decision to withdraw from the landmark nuclear deal, Iranian state TV reported.During a morning session, lawmakers chanted “death to America” slogans and set the American flag and a copy of the historic nuclear deal on fire in the parliament.Ali Larijani, speaker of the parliament, slammed the U.S. president’s move, saying “his [Trump’s] mind lacked capacity” to resolve the issue.“Iran’s Atomic Energy Organization must be completely ready to start its activities again,” Larijani said.Bucking pressure from the U.S.'s closest European allies, Trump on Tuesday pulled the U.S. out of the landmark nuclear agreement that world powers struck in 2015 with Iran.Trump opted not to extend sanctions relief on Iran ahead of a May 12 deadline, vowing instead to re-impose nuclear-related economic penalties.The 2015 nuclear accord placed unprecedented restrictions on Iran's nuclear program in exchange for billions of dollars in relief from international sanctions, but Trump has consistently railed against it since he began his bid for America's highest office, repeatedly claiming it is the "worst deal" he has ever seen.All of the U.S.'s negotiating partners -- the UK, France, Germany, Russia, China and the EU -- agree that maintaining the accord is the best way to reign in Iran's nuclear program. Trump opted not to extend sanctions relief on Iran ahead of a May 12 deadline, vowing instead to re-impose nuclear-related economic penalties. The 2015 nuclear accord placed unprecedented restrictions on Iran's nuclear program in exchange for billions of dollars in relief from international sanctions, but Trump has consistently railed against it since he began his bid for America's highest office, repeatedly claiming it is the "worst deal" he has ever seen. All of the U.S.'s negotiating partners -- the UK, France, Germany, Russia, China and the EU -- agree that maintaining the accord is the best way to reign in Iran's nuclear program.